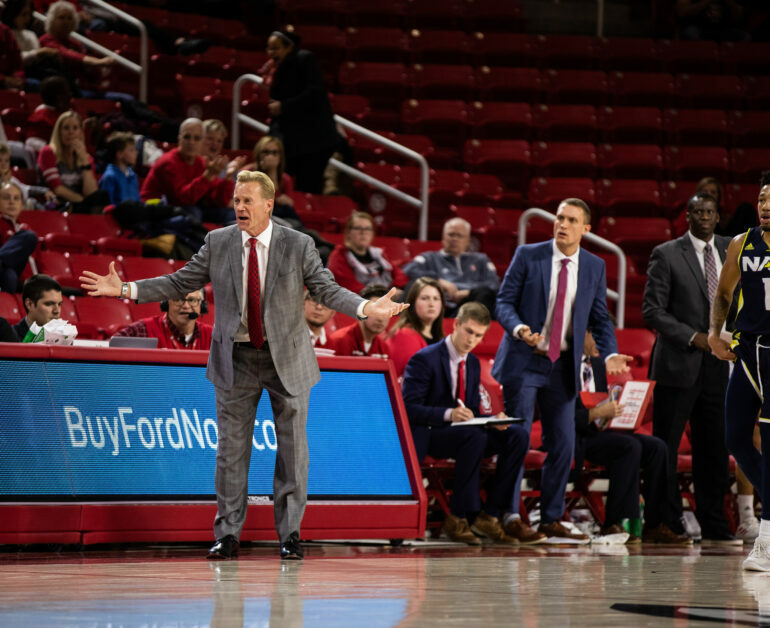 The South Dakota men’s basketball team’s expedition to Tulsa, Okla. ended in a 77-74 loss to Oral Roberts Thursday night. USD led by seven points through the first half, but allowed Oral Roberts to go on a run and take a 39-32 lead into the break. After Umude picked up his third foul with 1:42 remaining in the first half, the referees pinned Todd Lee with two technical fouls and an ejection. According to Ben Johnson of the Tulsa World, Lee asked the refs what spurred the fouls, and they replied with an ejection. Sophomore Stanley Umude led the Coyotes with 21 points on 7-for-13 shooting. After hitting six of seven shots in the first half, Umude only made one shot in six attempts throughout the second half. Junior Tyler Peterson followed with 20 points and 12 rebounds (five of those on the offensive end), his second double-double in two games. Junior Cody Kelley logged 14 points and 10 rebounds, the first double-double of his Coyote career. Redshirt-freshman Kevin Obanor scored a game-high 31 points off the bench for Oral Roberts, adding 11 rebounds. Freshman DeShang Weaver followed with 24 points on 8-for-11 shooting. Down by as much as 15 in the second half, the Coyotes chipped back to within three with a minute-and-a-half left in the game. A potential game-tying three from Umude missed at the end of regulation and the Coyotes moved to 8-10 (2-3) on the season. Despite losing both the field goal percentage battle (39.0-45.5) and turnover battle (14-10), the Golden Eagles move to 4-2 in Summit League play. USD travels to Omaha (10-8, 4-1) to face the Summit League’s third-place team in Baxter Arena on Sunday.